Doctors are one of the highest paid professionals in the United Arab Emirates. The UAE is a “tax-free” country with tremendous advantages for expatriates, especially doctors and healthcare professionals. The oil-rich Arab land offers one of the largest per-capita incomes in the world with no government income tax on the salaries which makes it a highly desirable place for job seekers. In addition to lucrative salaries, the doctors are also offered luring incentives and benefits which include housing, air tickets to the home country, transport allowance and children education. The Chief Operating Officers (CEOs) of large hospitals earn up to 100,000-150,000 Arab Emirates Dirham (AED) per month with additional yearly bonus packages (a percentage of hospital’s total earnings) as well as many other perks. Earlier, we published an article pertaining to the salary of doctors in Pakistan where we compared service structures of all four provinces. 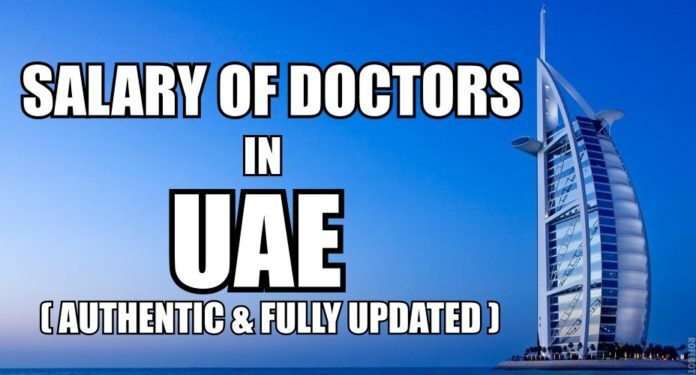 Today, we are going to share with you details regarding the salary of doctors in UAE. This article is based on authentic data collected from doctors working in Dubai and UAE. 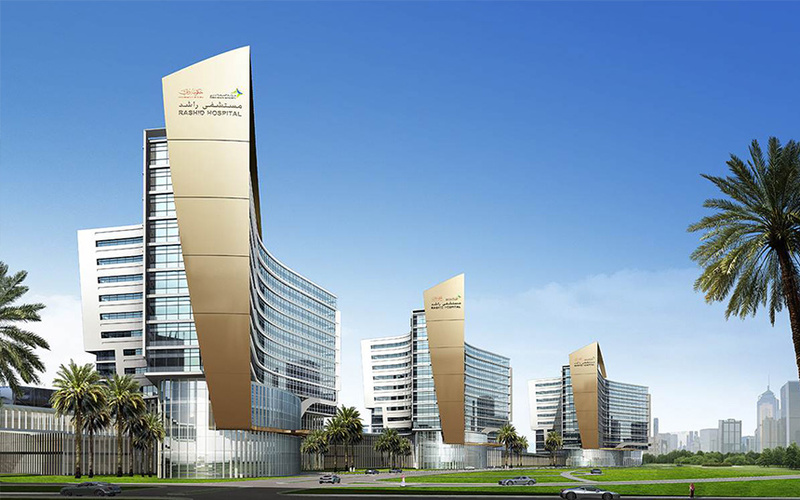 Rashid Hospital — a 786-bed hospital based in Dubai is UAE’s largest healthcare facility. Dr. Yasir Ameer Baloch is a graduate of Bolan Medical College, Quetta, Balochistan. 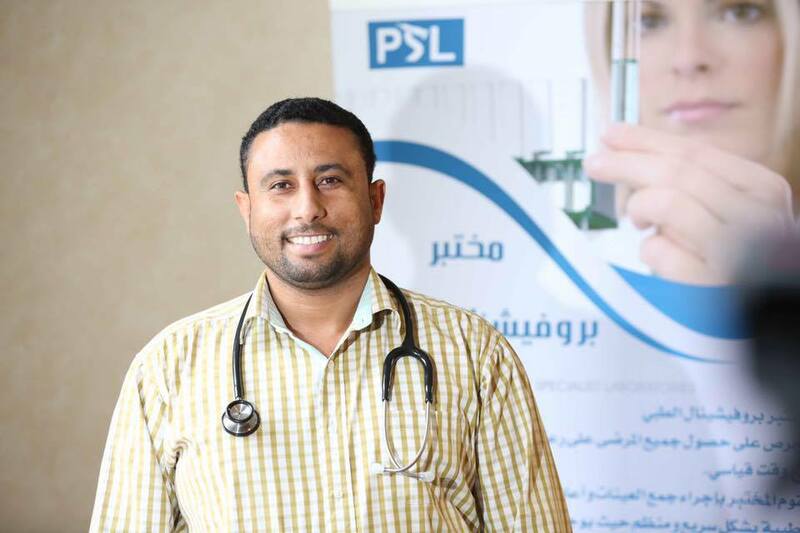 Under HAAD License, a General Practioner was getting around 20-25K AED per month which has now dropped down to 12-17K AED/month (Abu Dhabi and Alain). GP’s working under Foreign Contract (offers most attractive salaries and incentives) are paid 16,500 AED/month with additional benefits such as single or family accommodation, furniture allowance, children education, yearly air tickets and family visa. Indians and Pakistanis are mostly on Foreign Contracts. GP’s working under Local Contract have the same salary with no benefits. Sudanese are mostly on Local Contract. ** Foreign Contracts are comparatively less in number and their appointment is subject to availability. ** MOH License is applicable to both government and private hospitals. But the government hospitals run MOH License only. Doctors with this license are offered two types of contracts: Foreign and Local Contracts. Doctors with FCPS, under HAAD license, are paid 40-50K AED per month (depending on the size and type of healthcare facility). Under MOH license (excluding Dubai), if a doctor is working under Foreign Contract, he is paid 27-30K with benefits. Local Contract offers the same salary with no benefits. Under MOH License, a doctor practicing in Dubai is paid 30-40K AED per month. ** After postgraduation, 3 years experience is must for becoming a specialist. Doctors with MRCP degree are offered 40-50K AED per month under HAAD license. Rest of the details are same as mentioned above. FRCP/FRCS are considered as consultant doctors and they are offered 60-70K AED per month (not fixed, varies from Emirate to Emirate and type of healthcare facility) with benefits. Dr. Yasir Ameer Baloch further added that a doctor’s country of nationality has significant influence over his/her pay scale. For instance, the British and American doctors are offered higher salaries and more benefits as compared to others. I am a doctor from Bangladesh. I did MBBS from Bangladesh and MSc cardiology from UK. Now working in Bangladesh. Can I get any job here. 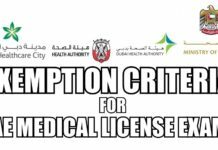 Yes, you can… but first, you have to appear in the licensing exams of UAE’s health regulatory authorities. I am a doctor from Bangladesh… I did MBBS from Bangladesh… I have been working in Maldives under ministry of health since last year.. Can I get any jobs in UAE? What r the process? Please can you tell me how you got into the Msc Cardiology program in the UK? Was it through a scholarship or you paid for it on your own? Please I will like your reply because I am interested in doing my Msc in cardiology. Thanks. Sir how to find MBBS job in Abu Dhabi? Hi what about a graduate from Pakistan with 1 year internship, Canadian citizen and passed Canadian medical exams? Only those with an M.D from USA, by studying there as in case of an American Citizen OR an International Medical Graduate (IMG) completing all three steps of USMLE have the privilege to be exempted from these licensing exams. 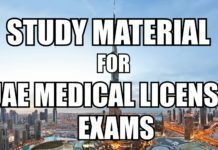 Yes, if you have an M.D (obtained from an American med-school) OR you have completed all three steps of USMLE (the licensing exam of the United States), only then you are exempted from taking the licensing exam(s) of the UAE. An exemption means you don’t have to go through the routine process of testing. You can apply for a license DIRECTLY! Great job. I have a question could you please help. How is the scope of general adult psychiatry jobs in UAE? What will be the procedure for me? Can we do our house job there in uae? After that can we appear in Haad exam and get job with no experience? Yes, you can do house job (internship) in UAE. ** Qualifications required: MBBS or MBChB or equivalent qualification from an accredited institution. ** No clinical experience required. Internship for how long… payable/nonplayable? After completion of the internship if we pass HAAD liscencing exam…then can we get the job? worth how much salary? ** MBBS or equivalent qualification from a recognized institution. M.D are exempted from these licensing exams. ? ** Completion of house job (internship). ** Additional two years of clinical experience. Dr. javeria , i don’t think they consider mcps in specialist category. u need to do more research. If I am a Singaporean, by American board Certified, would my salary be the same as an American/British person? And what about Canadian citizens? I am an Indian citizen doing MBBS in China. How can I do my internship in Dubai, UAE? Could you please tell me the procedure? My father MD Pathology 23 + years of experience now in Saudi Arabia. MOH since 2.5 years now aged 52, cleared all 3 UAE licensing exams still difficult to find the job in UAE. Any recruiter you can suggest we have desperately tried many but didn’t work out. after housejob and mbbs ,are we eligible for HAADH or MOH??? No, you have to have additional 2 years of clinical experience for being eligible for HAAD, MOH or any other licensing exam. Aoa I am 3rd year MS. Resident in eye dept in Shaheed Zulfiqar Ali Bhutto Medical University Islamabad, PIMS, ISB, PK. Please guide me how and when exactly should I be applying for any good opportunity? How to get a job in UAE after MBBS and one year housejob? I have a UAE resident visa and have completed MBBS and internship in April 2017 from India; as I do not have any work experience(I am a fresher) So without DHA or MOH – can I attend any observerships or clinical attachments with a senior doctor ? Paid or unpaid ; Not an issue..
IS there any possibility for me? hi i m dr imran.i have mbbs,mrcp uk,6 years exp in emergency medicine and overall 10 years.medical experience..i have european passport as well..how much salary they will pay in case i get job? i also have passed pres/trass exam in ireland..i also hold irish and gmc (UK) medical council regisgtrations..is HAAD/MOH exempted as well? I m pursuing MD anaesthesia in india.. how much experience after postgraduation will be needed for working in UAE n appearing in the licensing exam.. N plz tell me what will be the pay scale? I’m Dr. Mahmood Hasan Khan. I’m an MD (Cardiology). Do I’ve an option as Cardiologist in the U.A.E? 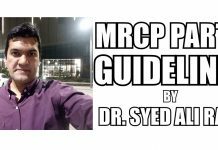 i am MBBS from china.is there any option for me without PMDC,to survive. I am Mphil anatomy. Can I get job there? For dhcc I do not have enough information. How difficult are these exams? 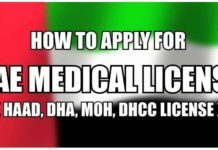 I am talking about UAE medical licensing exams like DHA,MOH,HAAD etc….what is the difficulty level for a person who has done mbbs and completed three years experience? are these tests as difficult as USMLE,PLAB etc….or not? I am A Final Year Med student in Pakistan… can i do my house job in UAE? And if yes from where? Please give me some names and will it be paid? I just completed my MBBS degree from china with one year internship. So can I apply for the job now? Well, you have to have added 2 years of clinical experience and then sit for UAE’s medical licensing exams. If you pass, you will be awarded the license to practice in UAE. Then you can apply for jobs. 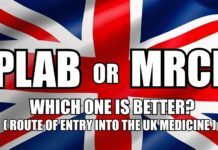 I am a UK national. MBBS from pakistan. 1 year housejob and 2 years of experience in dermatology. What will be my status.. exemptions? And salary? Hi, I am DGO with 10 years experience from India. Appearing for GP DHA. Please guide about salary I should expect…Thanks in advance. Sir what is the scope of medical oncologist in UAE ?? I mean is medical oncology is in demand ?? 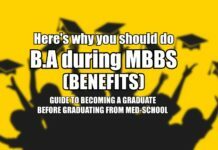 I M AN MMBS GRADUATE AND I HAVE RECENTLY PASSED PLAB 2 (UK). I DID NOT REGISTER WITH GENERAL MEDICAL COUNCIL UK. HOW CAN I APPLY FOR UAE LICENSE BASED ON PLAB 2. 1. What if you clear only PLAB 1 ? are you exempt from the exam? 2. If one has completed PLAB 2 but did not register for licensure with the GMC ( is he/she still exempt from the exams)? 3. What if one has completed PLAB 2 exam like 5 years ago and is now planning to work in dubai. Given the fact that the exam was done a while ago is he still exempt from doing the dubai exams?? Or they dont really care how long ago you completed the PLAB exam , just important that you have completed them ? I have 7 years experience , cleared all usmle tests include step 3 and USA clinical experience for 7 months and I have active license as gp in Indonesia for 7 years and I have renew my 5 years license . Can I get gp license and apply job? Asalamualaikum. I am a Radiologist with 4 years experience. 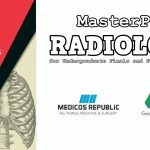 Is the exam oral or Prometric for radiologists? Hello, i am a nigerian studying in sudan 4th year MBBS. Can i get a paid internship in dubai and what are the procedures . Please reply. Hi .. Baloch can you please guide me … My wife has done MBBS and have experience of 3 years currently working in Pakistan and I want to bring her here in Dubai can you please guide me does she will get job here and moreover does she attempt HAAD exam on Visit visa.. your guidance will be appreciated.I will wait for your reply…..
What are the job prospects in UAE for those who have finished MBBS,MD,DM (Neurology) from india? If I register in dha as a GP and I hold mrcp uk plus one year of expreience after it. Eventhough as a GP I have 18 years of experience. What will be my pay scale. Any rough idea. Your help will be highly appreciated. kindly tell whether experience after FCPS in Radiology is required or not.I wanted to apply in specialist category and applied for DHA but they only asked for FCPS degree and no other experience. Hi. I am an FCPS in surgery. Done Plab too with full GMC registration. Currently working in UK as registrar. 2nd year here . I know Plab is an exemption for GPs. Do you think I will have to sit exam for registration as I will be applying for specialist. I have more then 2 years experience in Pakistan and now 2nd year in UK.if yes Which exam is better? And what salary range I should expect? I am a consultant histopathologist in UK. I did my CCT along with FRCPath from UK. I am a UK national. I struggle to find any package information for UK national doctor. I was wondering what salary would I get? So,do I need to give licensing exam? Helloo… i would like to know the oppurtunities in Dubai and the salary scale for a UK trained GP (MRCGP) with 3yrs of UK experienced.. I wanted to ask as you are saying that 2 year clinial experience is necessary for getting a license in UAE.I am doing a job in Basic health unit after completing my housejob. Will this count as a clininal ecperience? I have an FCPS that means fellowship in paediatrics.I have 5 year experience after thay. can I get the licence to work in Dubai? if so what is the procedure? pls looking forward ur ans. Bushra, you need additional 2-years of work experience after house job for being eligible to apply for the UAE licensure exams. لو سمحت انا لدي الجنسية الالمانية وشهادة الفاخ الالمانية في كلينيكال باثولوجي ابحث عن وظيفة في دبي هل لابد من التقديم علي dha وال dhcc معاً ام واحدة تكفي. وماهي الفائدة عند حصولي علي الاثنين معاً. Can I ask the scope of Psychiatry and GP jobs in UAE? I am currently in GP training programme in UK. Also if someone can elaborate on pay scales please, I ll be very much appreciate that. 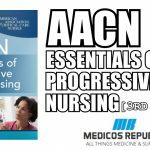 I am graduating with a MD and finished step 1 through 3. Does this mean I am only exempt from the exams not the 2 year experience? Is it possible for me to apply for a license right after I graduate? Or would I have to complete two years of residency in the states before that? My father did mbbs and mrcp from uk 16 months before..appeared in prometric exam of uae …they send eligibility letter to work as medical practioner…my question is first i apply for a job and getting offer letter then have to apply for license or first get license and then apply for job?? If your father has been exempted from the licensing exam (as indicated by his credentials), then he can apply for license-to-practice directly. Once he gets the license, then he’ll have to apply for jobs (desired Emarite/State and hospital, as he pleases). In what salary package he will consider to be???? What is the future of an Ayurveda Doctor in UAE with basic qualification B. A. M. S and with additional qualification M.D (Rasa Shastra means Pharmacognosy) ? Also mention about salary etc. Want to know about the salary of Ayurveda Doctor . Hello. I would like to know what is the difference between a specialist and a consultant apart from the pay. Do they have the same roles? I’m 2008 past out from Russia. can u kindly guide me with the procedures to join internship in dubai. any answer will appreciable. thank you in advance. I’m a GP, graduated from Grodno State Medical University, Belarus. I’m Registered in Medical Council of Mauritius, currently working in a Government Hospital. 1.5 years experience in Private Hospital. Apollo. Nearly 2 years experience in Government Hospital. Need DHA exam for Dubai post? Also exam can only be given in Dubai? 2 parts MCQ and Oral? 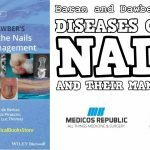 Currently a Registered Medical Practitioner in Mauritius. Almost 4 years work experience. Procedures to worry in Dubai same? Can u tell me if i have completed mrcs(member royal college of surgeons and physicians) and get gmc registered…then i m exempted for liscensing exams? is there any jobs in teaching field or phd from dubai???? What if country where you studied medicine has internship less than a year and aferwards you have more than 2 years of experience? Just out of curiosity , what pay range would I be looking at being a diplomate american board in neurology with added board in vascular neurology. Thanks and keep up the good work . Hi. Can you please tell me what would the starting salary be for an Indian/Pakistani doctor who has done an internal medicine residency from the US ?? Thank you ! Thank you for the amazing website. Can I just ask you about what roughly would be the pay of a histopathology consultant from UK. I have CCT from UK (complete training) and UK national. I am a dentist from india. All the above posts are of medical doctors. I am a triple degree holder -BDS, MDS ( Oral and Maxillofacial Pathology), PGCPAD( Post graduate clinical program in Aesthetic dentistry). Currently, I run my own clinic and its been 3 years. Can you give a brief insight about job options ( General practiotioner / Specialist) as well as salary . Hi. I have cleared my Fcps 2 exam. But I didn’t work after that. Does it possible that I get job with experience gap?? Only i have my postgraduation training experience. Please are qualifications from the West African College of Surgery allowed to practice as specialist dentists? I am from Sri Lanka,14 years post internship experienced doctor with MBBS( Sri Lanka), Australian Medical Council (AMC) exam part 1 and Post Graduate Diploma in Family Medicine (University of Colombo,Sri Lanka). Is there any age restriction for specialist job in UAE? I have done fcps in radiology from cpsp and has 1has post fellowship experience..will they give mejob as specialist in uae. I have 1 yr post fellowship experience. I have finished my MD paediatrics followed by fellowship in Neonatology from India. I am planning to do fellowship from Newstle, UK next year. People are telling that the doctors vacancies in the middle east will become saturated in another couple of years. I am worried about this, how genuine is this rumour about paediatric jobs getting saturated in the near future?? Hi, i am i.m.g. from Pakistan , i am a graduate of 2015, now working currently as a medical officer in Rehman clinic Pakistan. Looking forwards to see your reply. I have passed mbbs from nepal.I hav passed license examination of nepal.how could i process there in dubai for job for doctor as practisoner? Hii sir , I would like to know about the licence exam for ayurvedic practitioners in uae. I am bams holder from rajiv gandhi university,karnataka. Great blog .!! More informative about the MBBs salary details in UAE.